Smog and pollution are the top barriers that keep women from walking, while the slow health benefits of walking are what keep men away, found a multi-city survey of more than 1,200 persons between the ages of 22 and 60 years. Around 30% women blamed smog and 28% said pollution was the reason why they did not walk regularly, said the Max Bupa Walk for Health Survey 2017. Around 18% men said walking does not give quick results as compared to other physical exercises, while 17% men blamed pollution. 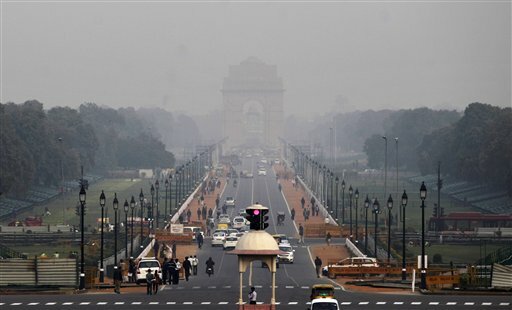 “Even if you’re walking in a polluted area, the benefits outweigh the risk,” said Dr Naresh Gupta, head of the department of medicine at Lok Nayak hospital. “Of all deaths, only 14% are caused by lung diseases and another 14% are because of cancers caused by inhaling pollutants. The majority are heart attack and stroke deaths, and walking actually lowers cardiovascular risks, such as lowering weight, blood pressure, blood fats such as triglycerides and bad cholesterol, and insulin resistance that leads to diabetes,” he added. Pollution led to 4.2 million premature deaths and a loss of 103 million healthy years of life in 2015, according to the State of Global Air 2017 report. Around 1.1 million of early deaths from pollution were in India. So, how much and how fast should you walk? “It is very easy to remember – 4 km in 40 minutes, four days a week,” says Dr Gupta, adding that if someone is not able to do it at a stretch, they can break it into two segments. The survey found that 65% of single women walk for 1 to 3 km a day as compared to 58% men, however 30% men walk 3 to 5 km as compared to only 24% women. The survey shows that 10% men and 13% women feel that walking is a waste of time. And, 26% women and 17% men believed that walking is an old-fashioned activity and prefer gymming, aerobics instead. “Walking is one of the best exercises. It improves heart health, helps with mental ailments like depression and anxiety, increase lung capacity, increase circulation in the kidney thus helping patients with kidney disease, improves digestion and reduces incidents of acidity, increases muscle strength and memory power,” said Dr Srikant Sharma, a senior consulting physician at Moolchand Hospital. Of all the walkers surveyed, 57% women suffered from some kind of lifestyle disease, hypertension being the most common taking 28% of the share. In comparison, 46% men suffered from lifestyle diseases, with 24% having hypertension. Limited green cover, too much traffic, long working hours and long commutes were also among top reasons stated by men and women for not walking.